The underlying meaning of the term ‘dyslexia’ is almost always “has not yet been taught to read. 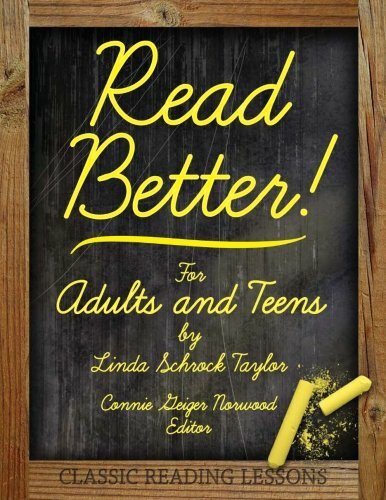 Traditionally, such poor readers were referred to simply as “bad readers.” It is time for educators to accurately define this overused term so that parents better understand the problems that their children are facing, and make better decisions even if those mean removing children from schools that fail to teach reading to enroll them in schools where full literacy is considered the achievable goal. Spalding Reading International defines the core deficit of such readers as phonological awareness. It is time that all schools employ teachers who know how to teach all children the skills for phonological awareness, then teach all children to read by teaching them to accurately use the complete system of phonics for both receptive and expressive literacy. Phonics is, and always has been, the code in which English speech is recorded for later reading. It is time to let both the students and their parents in on that secret. The fact is that in order to read a phonetic language like English, readers must be taught the phonetic code in which that language is written. Rather than admit their errors and return to the traditional method for teaching reading, educational powers-that-be decided that the destructive blunder must continue unabated and unstated. Mountains of blame, and a lucrative dyslexia industry, have grown to distract people from the underlying reasons for the massive failure of American schools. After bestowing a label of dyslexia on a child, the educational focus should turn to rapid remediation of accurate sound awareness, sound interpretation, and sound-to-letter correspondence. That rarely occurs. The black hole of special education too often swallows the child. Little—or nothing— is done to remediate auditory and sound-to-letter deficits towards returning the child to regular classes prepared to achieve full literacy in English. Too many of these children languish in special ed classes until quitting school or graduating as an illiterate with compromised opporunities in life. Companies “specializing in dyslexia” create expensive programs, often with endless pen & pencil worksheets claiming to help students “overcome their deficits.” Too many poor children in poor schools never receive even that much. I taught special education classes for over 40 years. The first two decades were spent teaching deaf children; the second two decades were spent teaching students burdened with the Learning Disabled label, often with dyslexia assigned like a specialty. After careful observation and testing, I found that most of my students to be bad readers who were “Teaching Disabled” rather than Learning Disabled. They had not been taught to read in the right way, at the right time, and with the right methods. Some refer to the dyslexia subcategory as “School Induced Dyslexia”. I concur. Using Greek combining forms for word creation, one sees that dyslexia means “bad with words”. However, in my long career in Special Education, where one should surely see dyslexic children, I recall just two (2) students with normal IQs who I believe had innate physical deficits. I concluded that the term to define such deficits should be “bad with symbols”. One student was so bad at learning and manipulating math symbols that in high school, he still had difficulty doing first grade math. However, his verbal, reading, and writing skills were above grade level. The other student, also a high schooler, had great difficulty interpreting and converting auditory input into the letter symbols which represented them. He had learned to read fairly well because he had strong anticipatory and inference skills, but he could not convert any but the most basic words into a spelled form. The condition of being “bad with symbols” occurs quite rarely. But the act of reading is a Sequential, rather than a Whole Word recognition skill. Sequential processes are handled in a different portion of the brain from where all of those drilled-to-memorization sight words are stored. For fluent reading to occur, an individual must become adept at moving the eyes sequentially, Left to Right, recognizing each phoneme and considering its position in a sequence that makes up a word, then considering the word meaning to the sequence that makes up the sentence. Methodical instruction in Phonics hones such skills. These skills allow the brain to assign Decoding (taking from the Code) tasks to an Auto Pilot mode whereby the flow of thought can almost see through the print to the meaning of the piece being read, without being bogged down by decoding chores. The eyes fly across the print, pausing to decode new words before leaping to the next word in the sequence. We think in a flow. I compare this to fluent, sequential Cursive penmanship. We think and speak the word “dog”. We neither think nor say, “/d/ /o/ /g/”. The fractured aspect of printing has no place in reinforcing the fluent flow of speech, thought, writing, or reading. The learning and use of Cursive mimics and reinforces the flow of thought and reading. In great error, the educational “experts” have decided cursive is no longer needed. “I ?? (send signal through the overworked bundle of nerves connecting the two hemispheres of the brain to find the whole picture of the unknown word and bring it back to place in the sentence) hurried ?? (send message across to retrieve… ) across the ?? (“I haven’t had this word yet! Oh, pavement.”) pavement of the ?? (send message across for retrieval) crowded … street to get the …… “ Oh! I forgot the first part of the sentence! !” Reading Failure! Educators would have us believe that dyslexia descended upon us like some virus from a crashing meteor to spread swiftly and widely to only English speaking children. Ah, no. Dyslexia is not a scientific condition with a genetic lifelong sentence. A child with the label dyslexia needs a skilled reading teacher, not a team of expensive specialists. For those given the word dyslexia as a label for a child, insist that the educational plan be written to specify the teaching and remediation of Phonemic Awareness and the entire Phonetic Code. Express the expectation that the remediation be done with a sense of urgency, with the child to be released from special services at the earliest possible date. Request that such plans be clearly worded and expressly defined in the child’s Individual Education Plan (IEP). Do not sign the IEP until and unless such specific wording is included. Remember, Dyslexia is an education term, not a scientific one. meaning, syllable by syllable, nay, letter by letter. whatever word he pronounces, he pronounces rightly. let their meaning be watched more closely still.